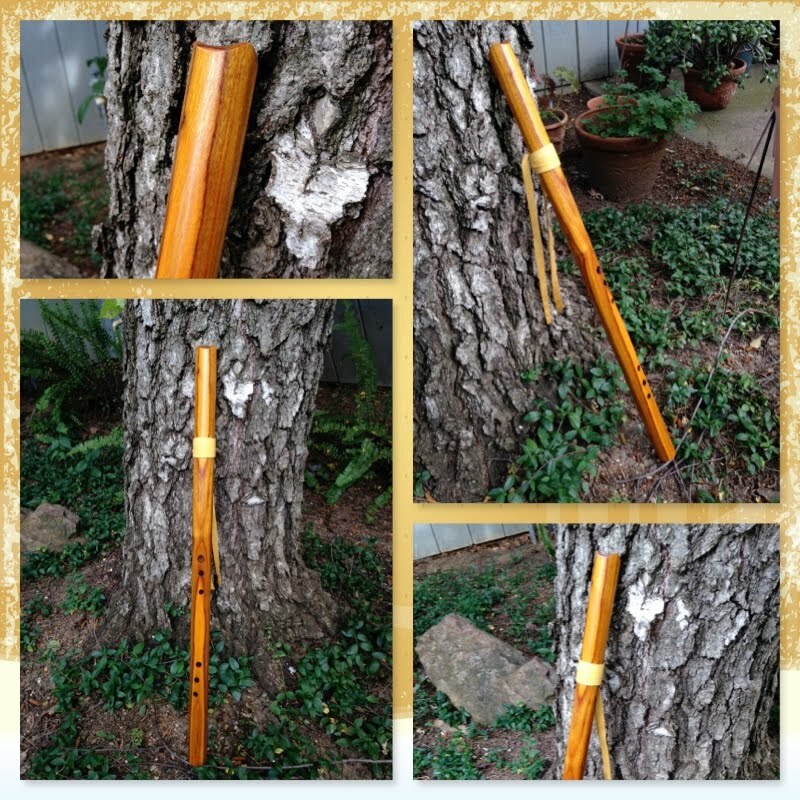 All my flutes are with Etsy, but here are a few of the most recent. You can link directly to the Etsy from the home page of this site. 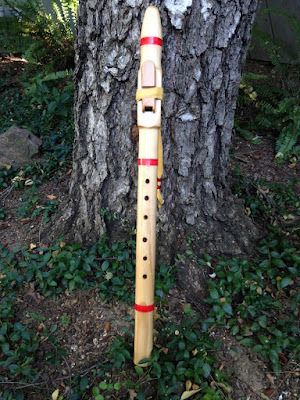 This nicely voiced flute in G is made of clear pine that is not stained but darkened through a natural chemical process. 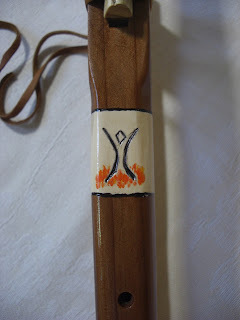 A little black paint and a goat fetish finishes the look. One of my brothers attended the 2014 year's Burning Man. 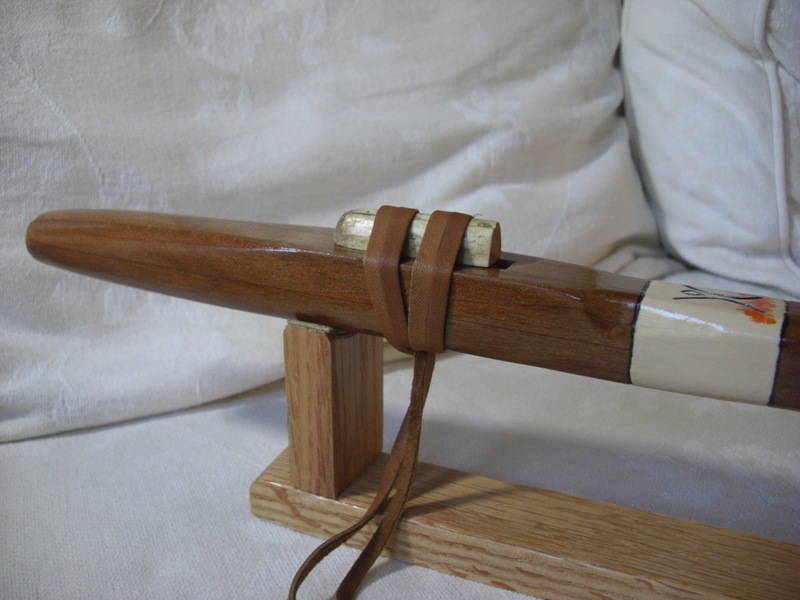 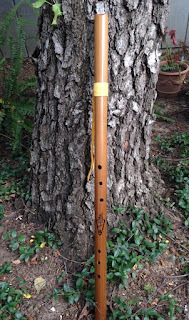 He had given me two redwood slats from his remodeled porch, and asked if I could make him a flute for the occasion. 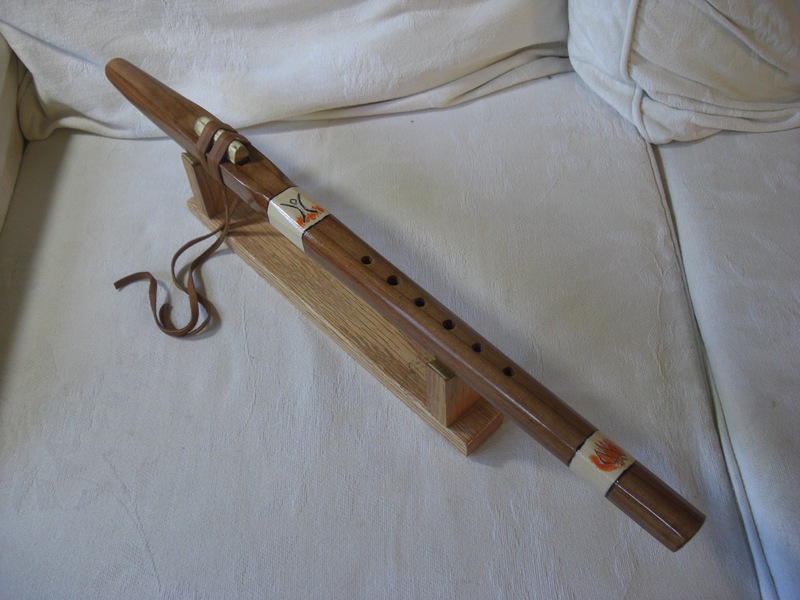 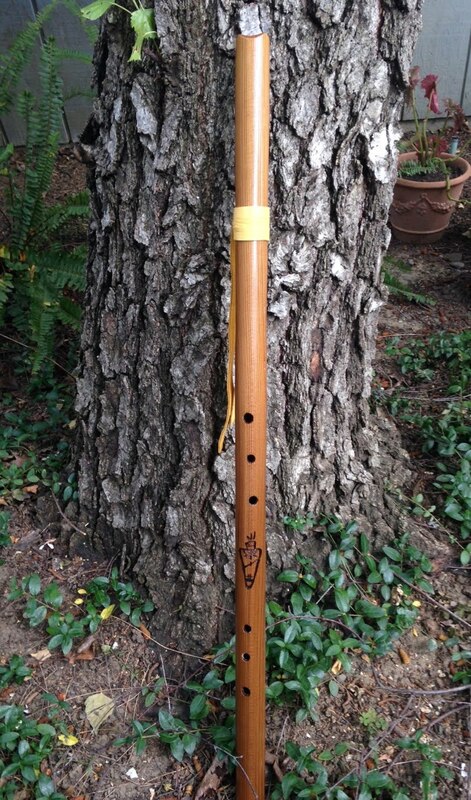 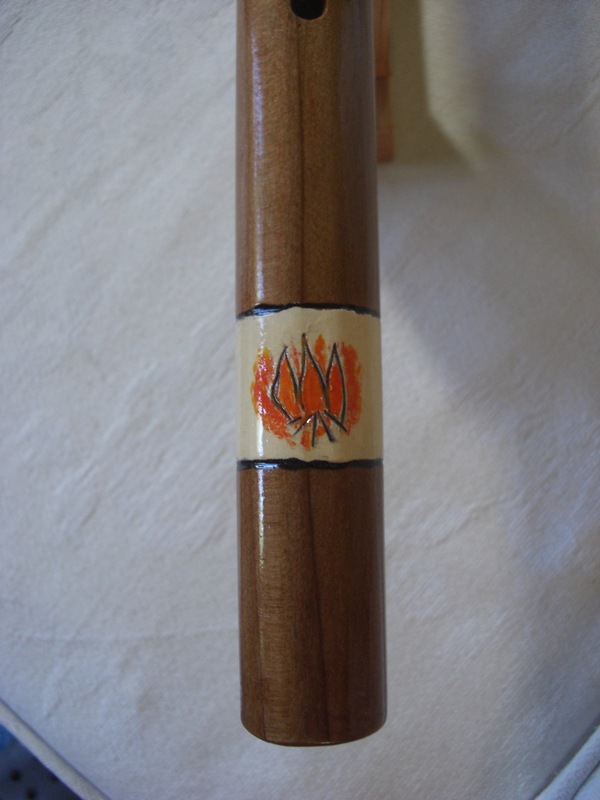 I came up with this, a very light and tuneful F# flute, with a driftwood bird and the Burning Man logo burned into the wood. 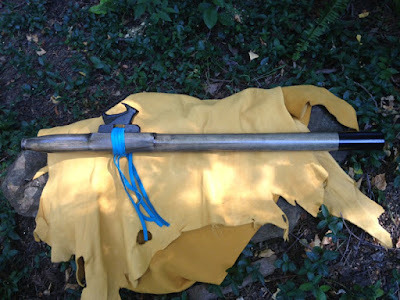 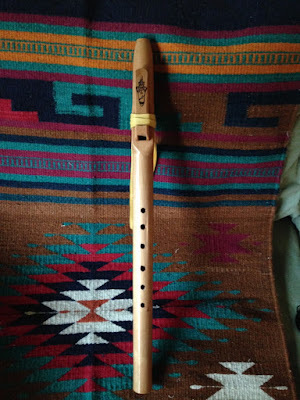 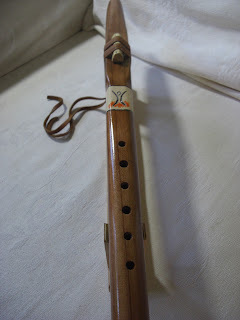 A small band of three flames is at the bottom of this 6-hole flute. He played it at sunrise on the playa for the other attendees. Here I am, playing "Yesterday" on one of the G minor flutes. 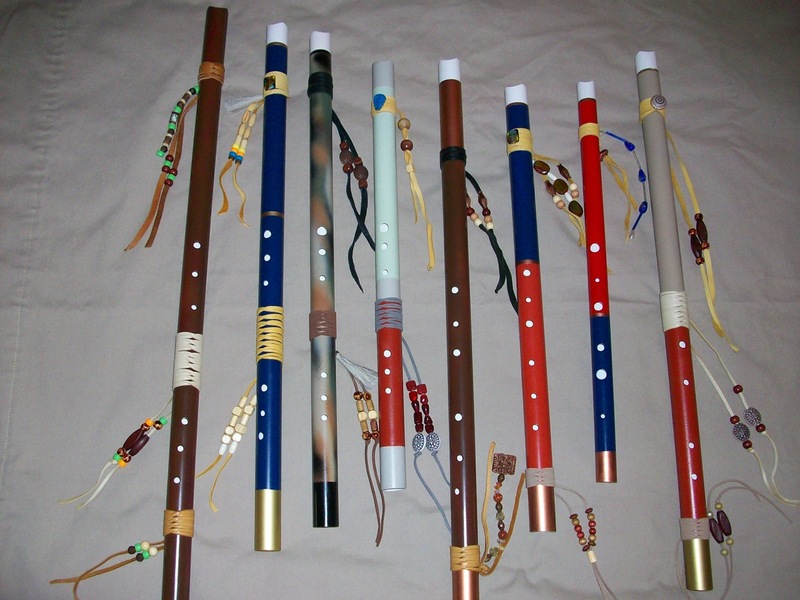 The Anasazi in B (2nd from left) was a special order. 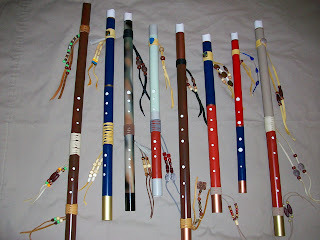 The flutes are as follows (from left to right): Anasazi in A, B, C, D, Meditation flutes in B minor, D minor, Namasté in E, Mojave in B minor. 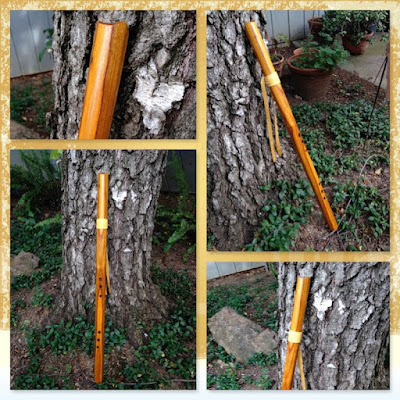 Thanks for the pic, Kathy!